While I consider myself religious, I am not exactly a big fan of processions. 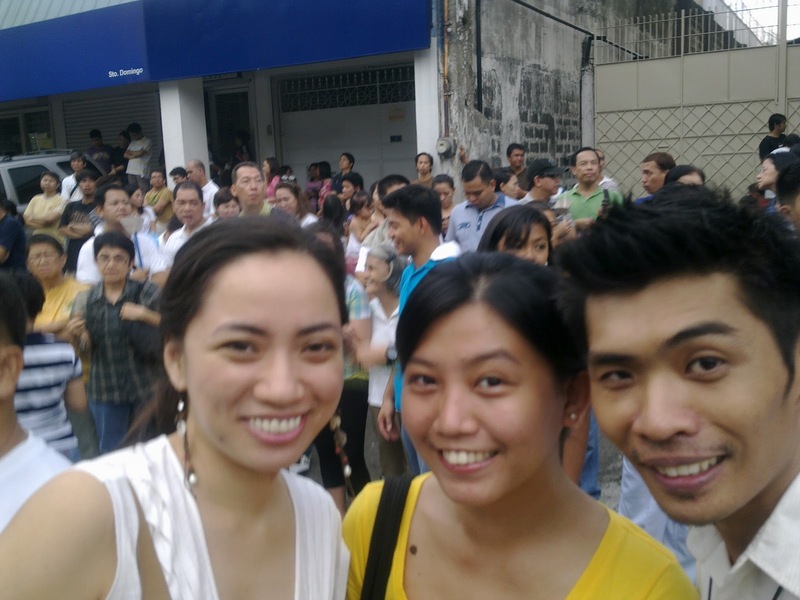 But three years ago, I went to join for the first time the La Naval procession with our college friends as hubby’s substitute (I think he was in Thailand or some other Asian country) and the history behind this tribute to Mary has convinced me that it’s a worthwhile tradition. La Naval de Manila is celebrated every 2nd Sunday of October, as thanksgiving for the miraculous win of the Spanish-Filipino contingent against the Dutch invasion in the 17th century. Miraculous, considering the Dutch had 18 warships against two Spanish galleons (trade ships). 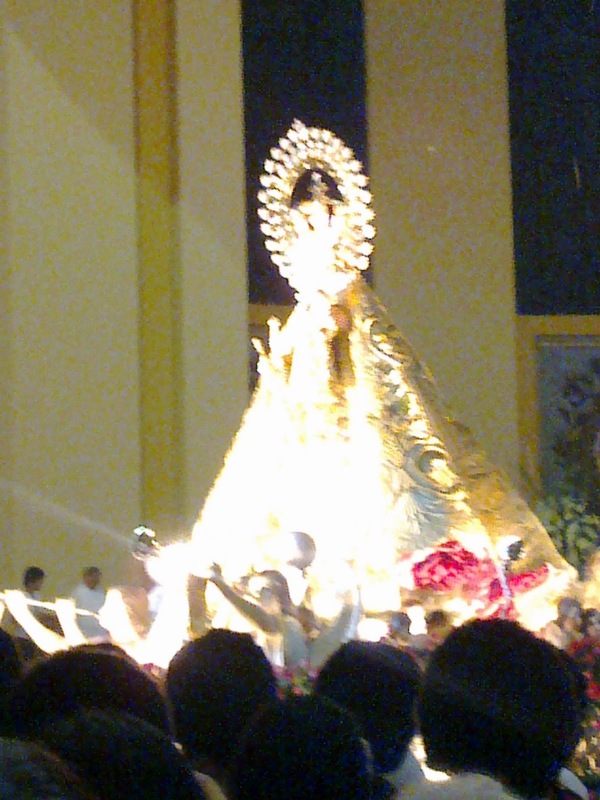 Before every battle, the Spanish-Filipino forces would pray to the Virgin Mary for her help and promised a pilgrimage in exchange for victory against the Dutch. I haven’t had the priviledge to actually touch the statue, the closest I’ve come is within a five-meter radius, but it is believed to be the oldest ivory carving in the country, with its dress made of gold cloth and silver threads. And the crown? Fit for a queen indeed – it contains precious stones donated by rich parishioners. 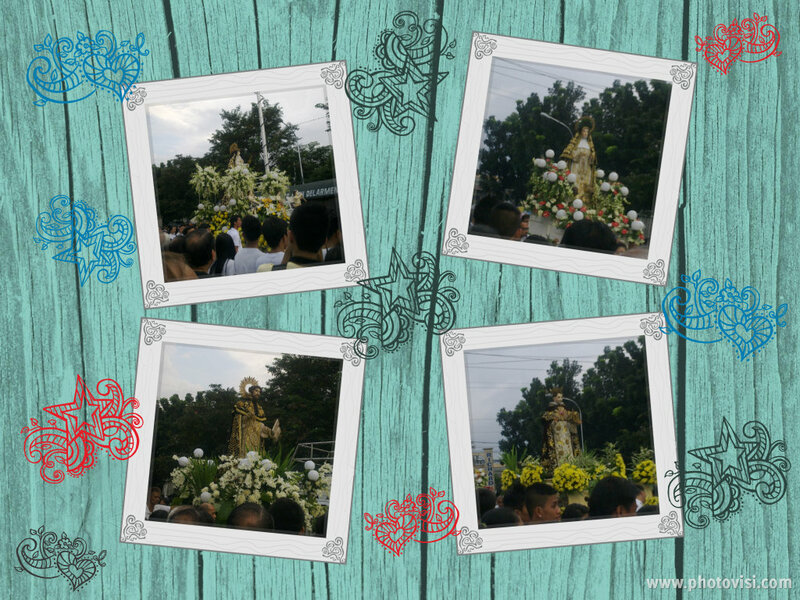 It holds the distinction of being the first Marian image in Asia to be canonically crowned, in 1907, under Pope Pius X.
Procession is actually short – just around the neighborhood of the Sto. Domingo Parish. A bigger crowd turn out this year, compared to last year when it didn’t even feel like a procession. After walking a few blocks and sweating it out in the crowded church, the troop headed to Eldric’s house, for the joint celebration of his birthday and his daughter’s baptism. 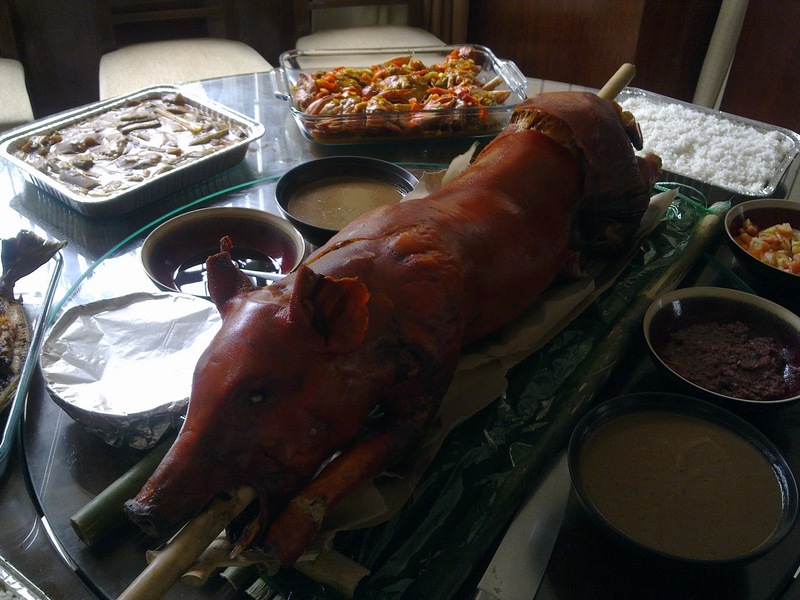 I love going to Dric and Eya’s house – they cook really really good food! 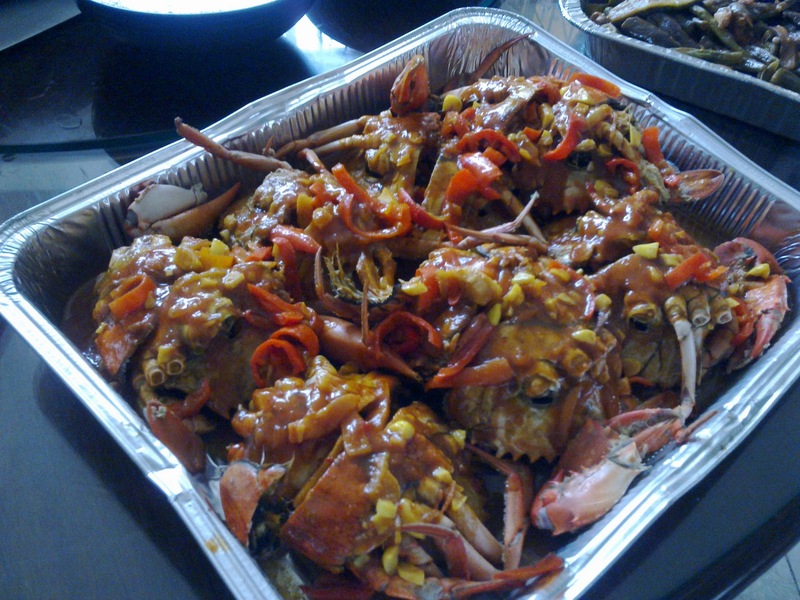 Eldric’s own recipe for crabs – mango with chili sauce. Heaven! PS: As I was writing this entry, I got a call I never thought I’d get. I had actually prayed for this during the procession and it’s just uncanny and too much of a coincidence to happen on the very day I was typing up an entry about the procession. I think it’s more of a miracle – and yes, they do happen when you least expect them to.